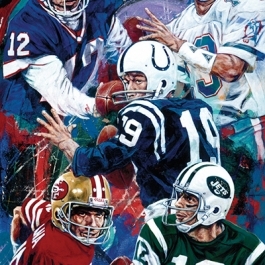 Texas Hold ‘Em Complete or incomplete? 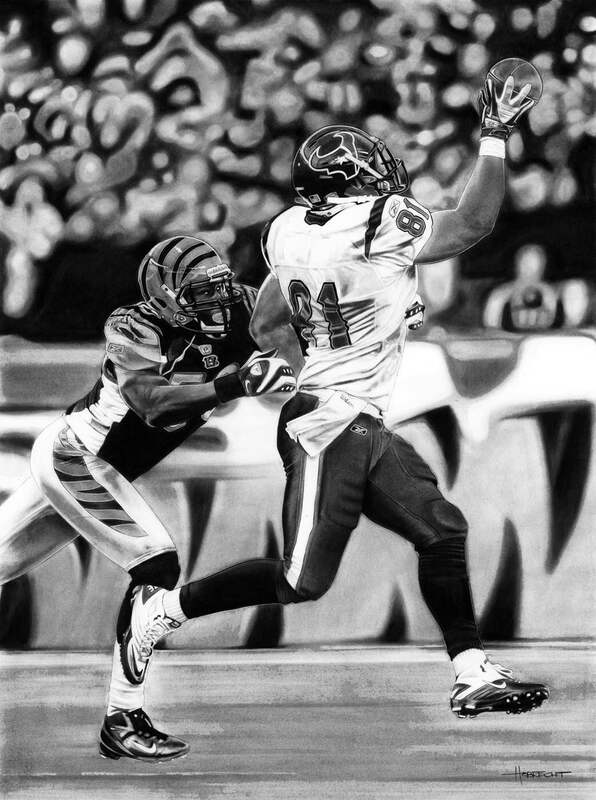 It’s hard to tell at the exact moment this NFL painting depicts, when a Houston Texans receiver reaches up to try and snag a high pass at the exact moment a determined Cincinnati Bengals defensive back tenaciously attempts to hold him back and break up the play. 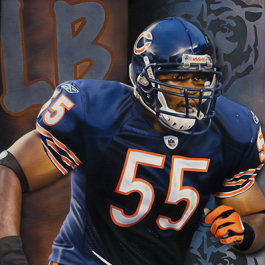 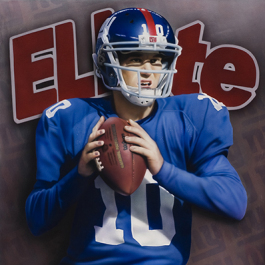 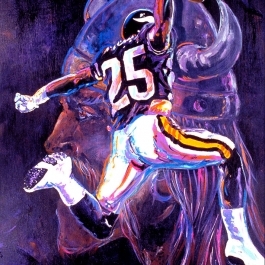 This NFL painting says it all and is a great addition to any man cave or sports art collector’s favorite piece of NFL memorabilia.